Foiled repeatedly by the predictions of Interpol's supercomputer, professional looter Lupin the Third has settled down. 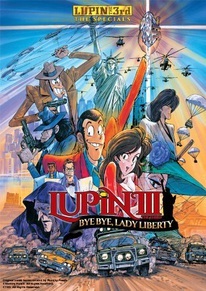 His partner Jigen asks him to pull one last job: recover the Super Egg, a massive diamond hidden somewhere inside the Statue of Liberty. Suddenly a sinister secret organization and a young computer genius are thrown into the mix. And whose side is the buxom Fujiko on this time?